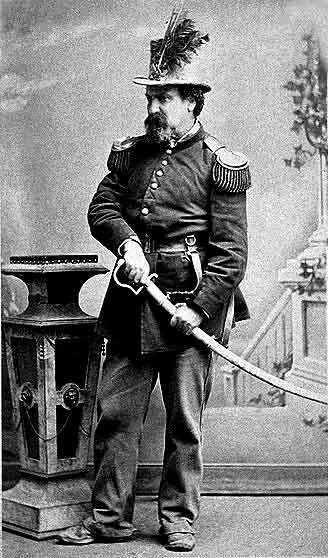 In 1859, an unknown, young and failing San Franciscan businessman named Joshua Abraham Norton attempted to corner the market on rice after hearing of a famine in China. He lost everything he owned when a large shipment of Peruvian rice arrived in port unexpectedly, making his investments worthless overnight. This apparently unbalanced him enough that he declared himself Emperor of the United States (he later would add “and Protector of Mexico”) and for the next 20 years ‘til his death, he wandered the streets in full regalia, inspecting his domain. In January 1880 he collapsed on a street corner and died. Nearly 30,000 marched in homage to bury him and writers such as Mark Twain and Robert Louis Stevenson would eulogize his memory. 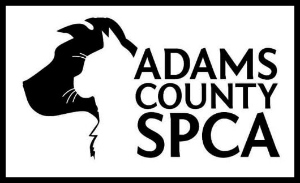 Before then he wrote a large number of proclamations, all of which were duly published in the state’s newspapers. In 1869 for instance he, “being desirous of allaying the dissensions of party strife now existing within our realm,” abolished both the Republican and Democratic Parties. Another edict was instructions for the countries of the world to form a “League of Nations.” Perhaps his most famous decree was an order directing the San Francisco Board of Supervisors to begin construction of a suspension bridge across the bay as well as a tunnel, both of which were actually completed 50 and 80 years (respectively) after his death (no thanks to Norton). 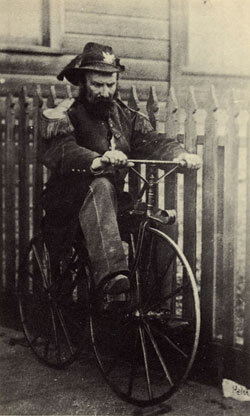 Much beloved by his fellow citizens, Norton I paraded frequently through the streets in elaborate blue uniforms with gold epaulets given to him by officers of the nearby Presidio with a beaver hat decorated with peacock feathers. Although routinely broke he ate at the best cafes in town; these restaurateurs then added brass plates above their doors proclaiming “By Appointment to His Imperial Majesty Norton I of The United States.” The brass plaques were much sought after and a huge boost to trade. One police officer in 1867 arrested Norton and tried to have him committed but this led to a number of blistering editorials in the newspapers and led to the police chief ordering him released and issuing him a formal apology. Norton then magnanimously granted an “imperial pardon” to the young police officer and as a result, all police officers in San Francisco thereafter would salute him in passing. 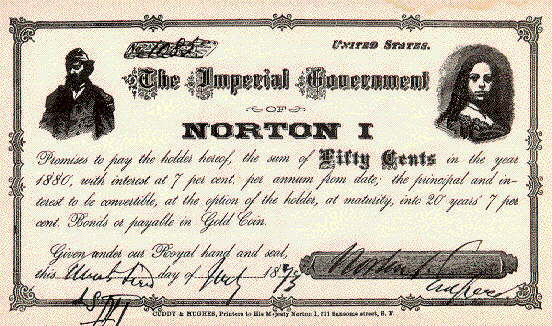 The 1870 U.S. Census records list Joshua Norton as 50 years of age and his occupation is given as “Emperor.” Norton I would also issue his own money to pay certain debts, typically ranging from 50 cents to $10 and these notes are now highly coveted collectors’ items. He also wrote numerous letters to the widowed Queen Victoria (none were ever answered) proposing marriage. Many of the “decrees” attributed to Norton I were fakes; written in jest by newspaper editors at the time for amusement, or for political purposes. Those “decrees” listed below were actually issued by Norton. September 17, 1859 – Joshua A. Norton, who lost his money in an attempt to corner the rice market, today declared himself Norton I, Emperor of the United States and Protector of Mexico. December 2, 1859 – Norton I dismissed Gov. Wise of Virginia for hanging John Brown and appointed John C. Breckenridge of Kentucky to replace him. February 1, 1860 – Decree from Norton I ordered representatives of the different states to assemble at Platt’s Music Hall to change laws to ameloriate the evils under which the country was laboring. July 16, 1860 – Decree from Norton I dissolved the United States of America. October 1, 1860 – Decree from Norton I barred Congress from meeting in Washington, D.C.
February 5, 1861– Norton I changed the place of his National Convention to Assembly Hall, Post and Kearny, because Platt’s Music Hall had burned. September 17, 1861 – A new theater, Tucker’s Hall, opened with a performance of “Norton the First,” or "An Emperor for a Day." October 1863 – Death of Lazarus, Emperor Norton’s dog. February 14, 1864 – Norton I arrived in Marysville to join the celebration of the opening of the railroad. November 11, 1865 – Mark Twain wrote an epitaph for Bummer, the long-time companion of Lazarus. January 21, 1867 – An overzealous Patrol Special Officer, Armand Barbier, arrested His Majesty Norton I for involuntary treatment of a mental disorder and thereby created a major civic uproar. Police Chief Patrick Crowley apologized to His Majesty and ordered him released. Several scathing newspaper editorials followed the arrest. All police officers began to salute His Majesty when he passed them on the street. 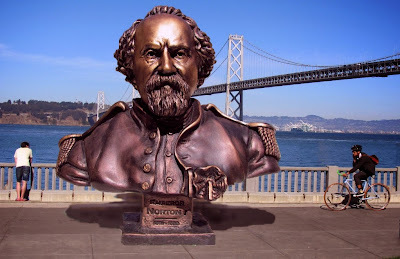 July 25, 1869 – Decree from Norton I that San Franciscans advance money to Frederick Marriott for his airship experiments. 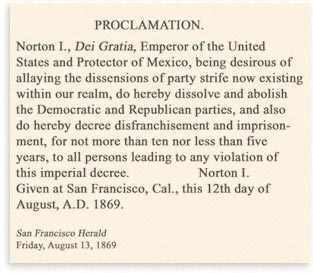 August 12, 1869 – Decree from Norton I dissolved and abolished the Democratic and Republican parties because of party strife now existing within our realm. 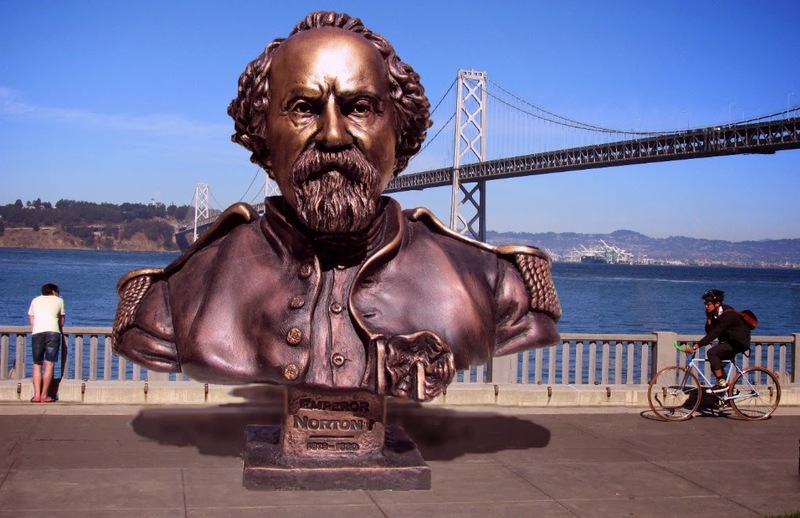 December 15, 1869 – Norton I, Emperor of the United States and Protector of Mexico, left San Francisco to seek his yearly tribute from the legislature and lobbyists. He inspected the new capitol during the gala ball celebrating the buildings’ inauguration. December 16, 1869 – Decree by Norton I demanded that Sacramento clean its muddy streets and place gaslights on streets leading to the capitol. August 1, 1870 – Norton I was listed by the Census taker with the occupation of “emperor,” living at 624 Commercial St.
September 21, 1870 – Decree from Norton I that the Grand Hotel furnish him rooms under penalty of being banished. March 23, 1872 – Decree by Norton I that a suspension bridge be built as soon as convenient between Oakland Point and Goat Island, and then on to San Francisco. September 21, 1872 – Norton I ordered a survey to determine if a bridge or tunnel would be the best possible means to connect Oakland and San Francisco. He also ordered the arrest of the Board of Supervisors for ignoring his decrees. January 2, 1873 – Decree from Norton I that a worldwide Bible Convention be held in San Francisco on this day. January 8, 1880 – Norton I dropped dead on California St. at Grant Ave. 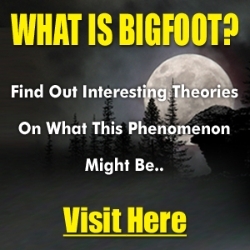 He was on his way to a lecture at the Academy of Natural Sciences. January 10, 1880 – Norton I was buried today at Masonic Cemetery. The funeral cortege was two miles long. 10,000 people turned out for the funeral. June 30, 1934 – Emperor Norton I reburied in Woodlawn Cemetery by citizens of San Francisco. 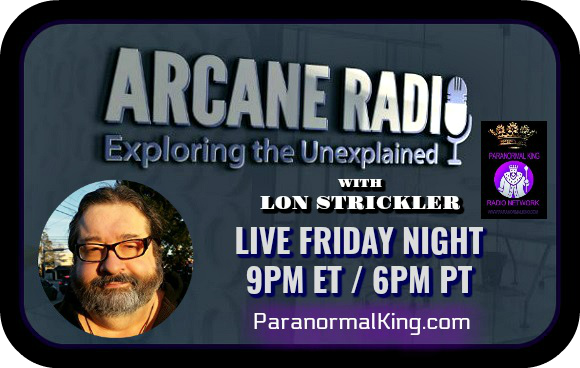 Last night at 8:15, Joshua Norton, universally known, and known almost only as Emperor Norton, died suddenly in this city. The similar death of the first citizen of San Francisco, or the highest municipal officer of the city, would not have caused so general a sensation as that of the harmless old man whose monomania never distorted at least a heart which was wholesome, and hardly affected a mind which had once been of the shrewdest, other than in the method of his sovereignty of the United States and Protectorate of Mexico. He had started from Kearny Street up California Street, with the intention of occupying a seat in the rooms of the Academy of Science during the debate of the Hastings Society. Almost as he reached the East line of Dupont Street on the south pavement of California, he halted for a moment, then staggered forward, halted again and then fell prone on the sidewalk. Wm. Proll, doing business at 537 California Street, was going up California Street immediately behind the Emperor, saw him fall, and hastened to aid him. With the assistance of others who quickly arrived, the Emperor was placed in a sitting posture on the wet pavement and his back supported against the wall of the corner house. His speechlessness and his head fallen forward on his breast indicated to the rapidly gathering crowd, every one of whom knew him and knew him to be highly temperate, that something serious had befallen him and the police officer on the beat hastened for a carriage to convey him to the City Receiving Hospital. Speedily as the hack had been procured, when it arrived at the place Norton was dead. On the reeking pavement, in the darkness of a moonless night under the dripping rain, and surrounded by a hastily gathered crowd of wondering strangers, Norton I, by the grace of God, Emperor of the United States and Protector of Mexico, departed this life. Other sovereigns have died with no more of kindly care--other sovereigns have died as they have lived with all the pomp of earthly majesty, but death having touched them, Norton I rises up the exact peer of the haughtiest King or Kaiser that ever wore a crown. Perhaps he will rise more than the peer of most of them. He had a better claim to kindly consideration than that his lot "forbade to wade through slaughter to a throne and shut the gates of mercy on mankind." 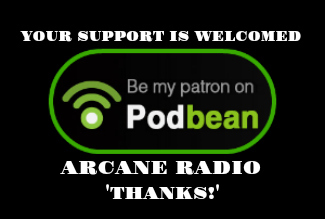 Through his harmless proclamations can always be traced an innate gentleness of heat, a desire to effect uses and a courtesy, the possession of which would materially improve the bitterful living princes whose names will naturally suggest themselves.